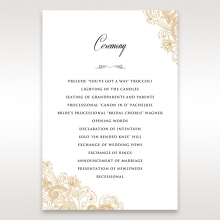 Purely classic in color scheme, the pearl and gold gatefold invitation will wow your guests. 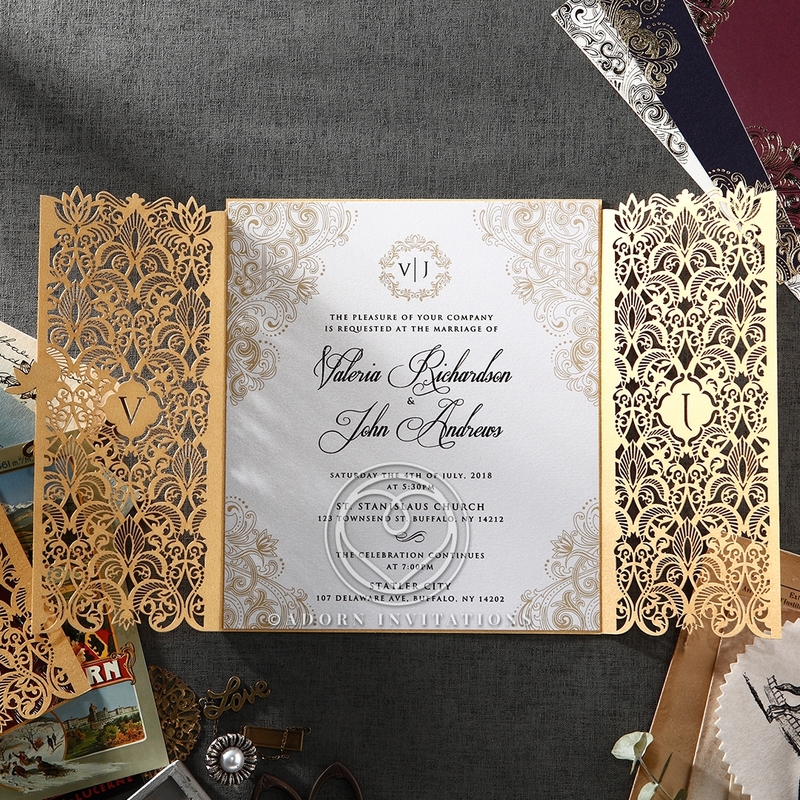 Gold foil is laser cut with intricate classic designs on this card, and the gates open to reveal the wedding or event details printed on pearlized paper. The wedding details will be presented in raised ink, and an alluring digital print embellishes the corners of the insert, echoing the fine details found in the gates. 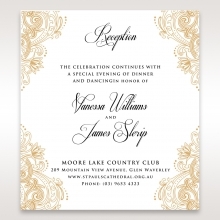 This invitation is also available in navy, marsala and ivory or you can special order your own choice of colors. This is one of our most popular choices for formal weddings and anniversaries. Order the coordinating stationery suite as well. INSERT PAPER: Pearl 200GSM. Customisable Colours. We received so many compliments on our invites. We absolutely love them. We were a bit hesitant to order online, but we requested a sample first and fell in love. :) The invite is larger than it appears online and the material is great quality. The only con, I would say, is we had to use two stamps for each invitation to mail within the US, because of the size. Anyway, we're very happy with our invitations and could not have picked a better option. This invitation is absolutely beautiful and very elegant. We ordered a sample and seeing it in person confirmed that we want this for our wedding invitation! 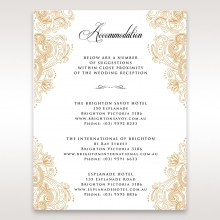 The invitation insert, envelope paper, raised lettering print and laser cut paper are all of extremely high quality. I am usually a very picky person but I have nothing to nitpick about this invitation whatsoever! We will definitely be keeping an invitation for ourselves as a keepsake. The Imperial Glamour wedding invitation card is just fantastic. I just received a sample of this card among others. The details and finishing on this card are just beautiful. The front of this card is very appealing to the eye. The quality of the material and the finish on the product is just awesome. Something like this costs around double in the local market. Worth giving them a try out for the bulk order. We just received our samples and this card was among them. It is absolutely stunning to see in person. The detail is fantastic and the card is cut extremely well. We shopped around at some of the local stores and a card like this would go for double the price. My fiance is in love with it! All the material feels top quality and even the envelope feels nice and heavy. These are definitely a great choice if you're looking for something bold but elegant. This was a beautiful invitation that we are excited to send our guests! 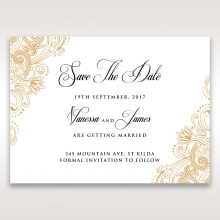 The quality of the material is easily seen, the writing is clear and it adds to an elegant theme for our wedding, and the envelope has a very regal feeling to it as well. Altogether, it is a truly stunning invitation. If we renew our vows publicly, we will definitely come back to get our stationery from B Wedding Invitations! All I can say is that our wedding invitations are beautiful. We ordered a laser cut invitation with gold laser cut paper. The insert is a pearl iridescent color. The ink used to print the invite is great. The quality of the paper, the shipping, super organized and neat and customer service are worth every penny. The best part is that the times it took to place the order and receive the product was super fast, even though it arrived from over seas. We are very pleased with our product and will definitely be referring friends and family and we will use B Wedding Invitations again. My fiancé and I did a lot of research, and no other website has compared to this one. My friend referred me to this website, and I'm so glad she did! We ordered several samples (for a great price) and they arrived very quickly. All of the samples were great, but this was definitely our favorite! The design is beautiful and carefully crafted. It's elaborate, yet not gaudy, which is exactly what we're looking for! I showed them to family and friends and they were all in love with the design (and the price too)! We can't wait to order these invitations! These are gorgeous invitations. The editing process was so easy and friendly. They are very speedy in their replies. There are a variety of fonts you can choose from to customize to your preference. I would definitely order from them again. This invitation was beautifully created and simply elegant. 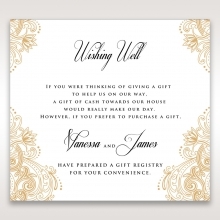 I think invitations are the first impression of what a couple's wedding will look like and this invitation is a perfect first impression. The quality of the invitation was definitely what we were looking for, compared to other sites. We definitely wanted something that our guests would remember and keep. We loved the sample so much we are ordering them for our wedding! I have finally found the perfect invitation for my June wedding. I looked at so many invitations by various companies online and received lots of samples, but none of them matched the quality and uniqueness of this site. They really do a fine job with embossing and laser. I also got response cards, and they are so cute. I love every detail of this product. I highly recommend to other people. this is beautiful invitation. My wedding is in Sept. so I considered more casual styles but kept coming back to this invitation. It fits my church wedding and my fiance likes it too. The quality is much better than any online or offline shops that carry similar products, and the price was a bargain. I highly recommend this product!!! Amazing wedding invitation set. Very formal and classy. So many people have commented on this invitation because no one has seen anything like this before. Everyone loves it and so do I! On the scale of 0 to 5, I want to give 10! I love this classic bordered invitation. It is elegant and looks better than the photo. The ribbon is high quality and the perfect width. Decent product, fair price! Very Elegant, stunning, and impressive. I was looking for something that will wow my guests and this invitation is it! Love the size and how large they are so it doesn't feel like any other invitation. The Gold and Ivory matched with my colors, but the navy and gold is just as impressive. My overall favorite part is the laser cut opening that looks like magical doors your opening up to see a gorgeous Invitation! I received samples of all three color coordinations and they’re all totally awesome. Very nice invitations and most of all ‘inexpensive’!!! Beautiful extremely detailed invitation. The folds are so intricate which gives the invitation that elegant look I wanted. I absolutely love how it has our initials on the folds as well. The little lotus embellishment really is the cherry on top. It does not stop there. 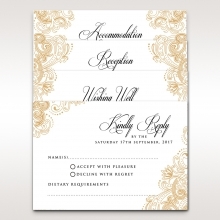 The gold detail inside the invitation really brings everything together. It is a high quality paper with a glossy finish. If you want something elegant and unique that will really "WOW" your guests, definitely do not hesitate to get these. Words can't describe how much I love this invitation! Thank yo so much!! I ordered these for my wedding in blue and they're breathtaking in person. The photos don't really do these beautiful invitations justice! These are the only pocket invitations that I really liked, but I wasn't sure I wanted to spend more money than I'd seen on other sites for non-pocket invitations that were "ok". My sister and fiance convinced me to get them and when they arrived I was blown away. The details are impeccable, the ribbon is a satin gold, the paper is textured, and the jewel on the center of the invitation really adds to the wow factor of this already impressive invitation! Thank you! 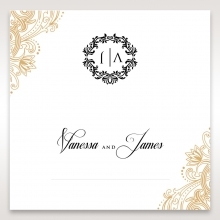 Beautiful and elegant wedding invitation. I love the simplicity and modesty of the design. The long shape seems unique and quite stylish. I've been searching for my invitation for some time, and this one the best I've found for the price. Nice invitation at a great price. Love the high quality ribbon that is so silky and thick. I also like the embossed borders. The best part is the assembly which they do a fantastic job without charging anything. It's totally awesome. this is a great invitation worth every penny. I had looked every where for that perfect invitation and got so many samples from every online store you can think of. Quality and pricewise this was the best one I found, and this invitation works perfectly for my budget and fits my style. Definite 5 out of 5 review and highly recommend to others!!! My invitations are beautiful and impressive. I'm very happy with the result and all the service they did including assembly was fantastic. The cardstock is very fancy and classy. This product deserves 5.0 stars. I cannot say enough about this product. The quality of the invitations is fantastic. So many people have commented on how beautiful and unique my invitation is. I highly recommend to others. Can't believe how beautiful these invites are! I just got the samples and they're really gorgeous and the quality of the papers is fantastic. I'm getting the yellow and lavender invitations and I'm very excited about it. I recommend everyone to get a sample to see the high quality of the papers. I was surprised at first to see such wonderful quality from an online store. The pocket style is fantastic. very unique and definitely impresses everyone. The price and service so far seem excellent. the best of the best! My invitations were beautiful and I already got lots of compliments from so many people. The elegant style and high quality really impressed everyone. 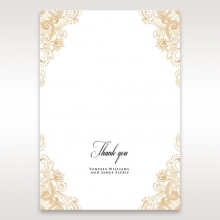 I'm now ordering Thank you cards and programs, and I'm already excited. I highly recommend this site and this product. Whatever you may order, they’ll be worth every penny. 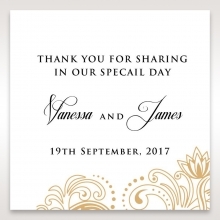 Bweddinginvitations.com has been a dream to work with. My husband, then fiance, has long last name with a hyphen and mine happens to be unusually short, and this just caused so much problem. BW designers tried three different designs to fit my husband’s name nicely balanced with mine. We eventually used initial for his middle name, but I we were happy with the result. I wanted to thank the staff for the excellent work and professionalism. I absolutely love this invitation. The color is nice and elegant. The quality of the paper and ribbon, free assembly, the low prices are all fantastic. Can't say enough good things. Highly recommend! Beyond words I love it. Very elegant I would recommend it to anyone. The price is a steal. Nice invitation and affordable. Quality is superb. Love the pre-assembled high quality ribbon. Company did a great job! We love the invitations. They are very classy and elegant. Good paper stock and excellent printing. I am impressed. You will be too. Awesome customer service. I had made a mistake in my order and their customer service quickly responded and fixed. I looked through so many sites and by far this site had the most exquisite collection. The prices are totally on point too! Totally love my invitations and they got me really excited for my big day! Even my soon to be husband was impressed with the design and quality! Highly recommended. 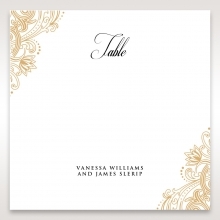 I searched high and low to an invitation that was simple and elegant and this was the one that I settled on. For the price and quality I really got everything I wanted in an invitation. Awesome service highly recommended! I wanted something simple, elegant and modern and this invitation totally nailed it. Amazing quality and great friendly service. Quality is amazing. Me and my soon to be husband were in complete awe! It's so elegant and simple and I couldn't believe the price we got them for! Highly recommended!